History of Video Slots- What you may not be aware of! The history of video slots has without doubt evolved over the decades. It used to be quite a novelty in the United States, if in your games room accompanying your snooker table alongside you had one of the old 3 reel slots that you could put your change into and spend hour-less fun. Of course the best bit, since you owned it and had the key, you could have a lucky dip all of your own and retrieve any of your guests' coins as well as your own, voila, your own little gambling enterprise. As things moved away from such manually operated 3 reel games, which as well as having a tendency to break down frequently, could also in some cases be manipulated by the player, a new era would eventually beckon. That of the modern arcade slot machine, run in conjunction with gaming software. Such a sophisticated type of software, that was to prove far more reliable. 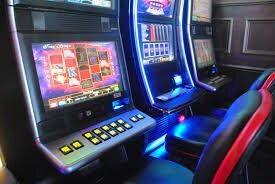 Whilst going through the history of video slots we see that in 1975 a guy called Walter Fraley created the first modern day type video slot. This game was called Fortune Coin, but most players at the time were not impressed, because they thought that being so automated the odds would be stacked in the machines favor with the machine being the only one to make the fortune. Not until 1980 when the concept of video poker was introduced did players soften their approach and gradually accept it. Part of this process was aided by the acquisition of Fraleys's Fortune Coin, by International Gaming Technology in 1978. IGT did some tweaking with the games video platform which seemed to redefine players' perception. Overall this improved the game as well as enhancing IGT's reputation to one of the very best in the business. They have produced thousands of Nintendo games including the likes of Cleopatra, Little Green Men, Wheel Of Fortune along with The Price Is Right and many others now making them an industry leader. 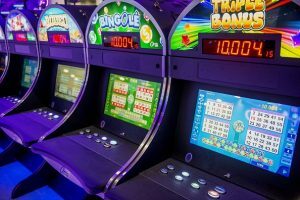 We have now gone beyond the point of video slots with coins to where we can now pay with preloaded tickets, gone are the days where the only way playing slots is having a bucket of coins to play from. As internet gaming technology was developed for players with credit card in hand, it only made sense, yet looking back to our original 3 reel slot, we may be forgiven for asking, what ever will they think up next?